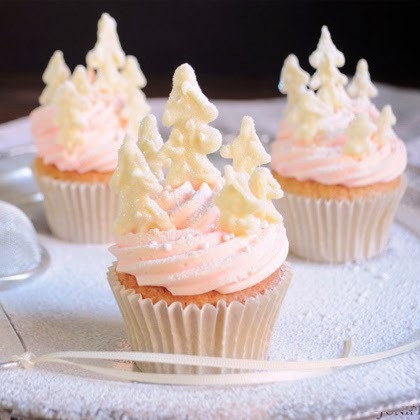 We commence the frosty yet festive season with a collection of winter themed cupcake recipes and tutorials created to help make your party stand out and keep the frazzled stress levels at bay. These adorable and sweet (no pun intended) Peppermint Forest cupcakes evoke a crisp Winter Wonderland paired with Germanic fairytales and a childhood favourite board game for the American-bred half of Juniper Cakery… Candyland! We loved the idea of this so much that all of our ‘Winter Tales’ recipes and tutorials encompass a fairy tale-esque theme. Why not try our recipe and cupcake decorating tutorial for a truly magical batch of treats!